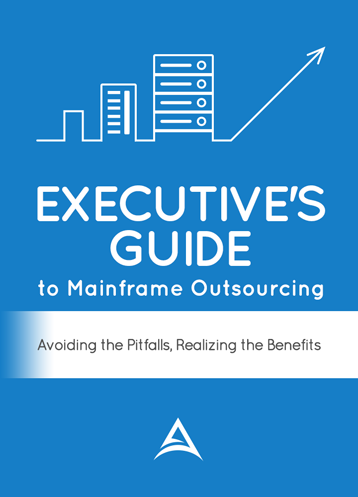 Third party software costs represent one of the largest costs associated with maintaining your mainframe environment. An outsourcing vendor’s ability to impact your costs has a direct impact on their overall value proposition. Depending on the type of mainframe hosting that you are considering, a hosting vendor can provide various software solutions. Many mainframe hosting vendors have partnered with Independent Software Vendors (“ISV”) so that they can provide these products to you at a reduced rate. A hosting provider will enter into an Enterprise License Agreement (“ELA”) with a company like Computer Associates. The terms of the ELA allows an outsourcing vendor to provide the ISV’s software to you at a reduced rate. Once a hosting agreement is signed with an outsourcing vendor, your license would go into abeyance or suspension. You would still own the license however the hosting vendor is now providing that license and paying the ISV directly. The financial impact of this is typically a 20-40% reduction in maintenance costs. Should you decide to change providers or bring the mainframe back in-house you would simply reinstate your original license. Once the license is reinstated you would start paying the ISV directly. Since the license was in abeyance, there would be no back maintenance due. Hosting vendors will often have products that you no longer need to retain in order to manage the system. For example a vendor might use IBM Tivoli Omegamon to perform system monitoring and you are using BMC MAINVIEW. In this case you would be able to drop your BMC license. Since the vendor is now performing system monitoring you would no longer need to retain that license. In other cases, a mainframe hosting vendor might have products that are similar but not identical to products that you are using in-house. For example if you are using CA-Top Secret for security and a vendor has IBM RACF. Going through this type of conversion could be a large project and it probably would not be worth the effort. Converting products depends on the cost savings that can be attained versus the effort involved in a conversion. The conversion effort involves the retraining of staff, the conversion of the software, the testing of the new product and the time that it would take to implement. Converting complex products are often not worth the cost saving that they may provide. Another big cost item associated with the mainframe is the price of IBM system software. In most cases the IBM system software licenses are provided by a hosting vendor. Because vendors are leveraging IBM products over multiple clients they are able to use economies of scale to offer IBM products at a lower rate to each individual customer. IBM products are paid as a monthly fee, so there is no need to put products into abeyance like the ISV products.